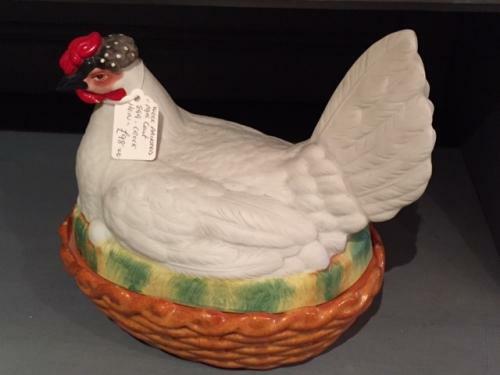 Antique Ceramic Egg Hen Crock c.1900, possible earlier. Lovely example, well painted with that folk art look. Good detailing in the moulding. Overall condition good. There are some small chips to inside base and front edge of hen all of which are hidden when sat together and are signs of wear. Would look great in farmhouse kitchen setting on dresser or above an Aga!